Teens who complete Drivers Ed (DE) have fewer crashes and receive fewer traffic tickets than teens who don’t complete a drivers ed program according to a study published by the AAA Foundation. The difference between DE and non-DE teens, while small, are still statistically significant according to the researchers. The study looked at a large number of teen drivers in the Province of Manitoba Canada and the State of Oregon. To determine a baseline, the studies surveyed teens who planned to take drivers ed and those who didn’t. Afterwards, they followed up with additional surveys, and performances in driver simulations. They also looked at scores on the driver’s exam and driving records. DE teens had 4.3% fewer crashes than non-DE teens during the entire period of the study. DE teens had 39.3% fewer convictions for traffic offenses than non-DE teens during the entire period of the study. DE teens had a slightly better knowledge of safe driving practices. DE teens were more knowledgeable of and more supportive of Graduated Driver License (GDL) laws. Even though the differences were small, that still means a significant number of teens were spared injury and possibly death in a traffic collision. Lower traffic conviction rates mean lower insurance rates and less money spent on traffic fines. In previous articles we have made the case that the US has one of the the worst driver training program for teens in the industrialized world. Most European countries not only require a classroom drivers ed course but also a significant number of hours behind the wheel with a trained and licensed driving instructor before they can apply for a license. In Canada, if you don’t take a drivers ed course, you must wait until age 16 before applying for a learner’s permit. After one year on a learner’s permit, the teen can apply for a “novice” driving permit by passing a road test. After two years of incident free driving as a novice driver, they must pass another road test to get a full license. In the US, we depend on parents to teach a teen to drive and, usually, those parents lack the proper training to teach their child how to drive. After only one year of supervised driving and passing the road test, there are few limits on a teen’s solo driving. 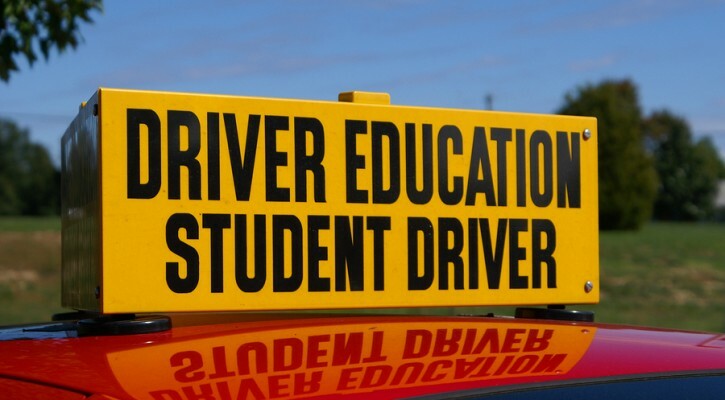 High school drivers ed programs are rapidly disappearing because, when school budgets have to be cut, drivers ed is usually one of the first programs to go. In the Oregon study mentioned above, out of the 94,342 teen drivers observed, only 22 percent had taken a drivers ed course. If your teen’s school doesn’t offer a drivers ed course, consider enrolling the teen in a private, state approved course. It might just save his or her life.